This week, we discuss public speaking, mispronunciation of words, and the new show Atlanta. Adam also tells the story of how he recently fixed Norm's broken camera lens (an EF 24-70mm f/2.8L II USM on a 5D Mark IV) with some unorthodox problem solving. Plus, a new book recommendation! From Sean: For less severe stuck filter problems, we suggest keeping some of these in all your camera gear bags. Canon's CarePAK PLUS promotion has been extended for eligible purchases made through the end of the year. Considering that most of the items listed above also qualify for instant and/or mail-in rebates, now seems like a great time to fill out one's photography kit. Photographer Andrew Scrivani shares his top 5 tips on how to improve your food photography. Note from Sean: In Andrew's second tip, "Soften light with a diffuser," I would call the tool he uses a "diffusion panel," "scrim" or "diffuser," but not a "flag." A flag is typically used to entirely block light from an area, while the other terms are used for tools that modify the light that actually hits a scene. Also, the "light cutter" tool Andrew uses is typically referred to as a "black card" used for negative fill. Tamron has published their 3Q FY2016 financial results. Unfortunately, they do not provide the easier-to-read presentation material, but... you may still get a sense that the previous quarter was not as good as last year's 3rd quarter by comparison. An important part of creating a botanical photograph with impact is one of the areas that people often ignore – COLOR. The use of color in your floral images can help create mood, vibrancy, electricity or tension. Choosing the soft pastel palette can create a restful, peaceful feeling. It can create a calmness that allows a respite for your eye, a certain soothing of the soul. 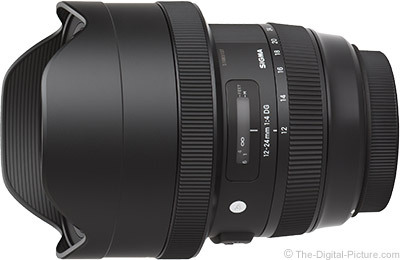 B&H has the new Sigma 12-24mm f/4 DG HSM Art Lens (Canon mount) in stock. Nikon and Sigma mount versions are available for preorder. B&H carries the Canon Cinema EOS C300 Mark II. We were expecting the arrival of the Canon EF 24-105mm f/4L IS II USM lens next week and anxious to begin testing, but... evidence suggests that we may be waiting a bit longer for the highly anticipated lens. The lens was originally scheduled for availability in "late October," but B&H now lists an expected availability date of December 10 for EF 24-105L update. Amazon expects the lens December 6. Will the Canon EOS 5D Mark IV DSLR Camera with 24-105mm f/4L II Lens Kits, which were originally supposed to be available at the same time, be delayed as well? We're not sure, but neither B&H nor Amazon have changed their originally posted "Oct 31" expected availability date. If that's the case, we'll be ordering a 5D IV kit in order to get our hands on the lens ASAP. 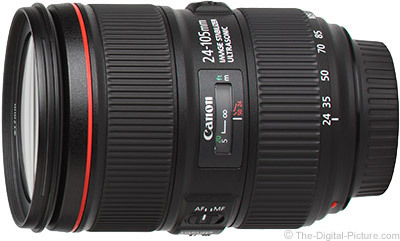 B&H has the Canon EF 24-105mm f/4L IS II USM Lens available for preorder. Focus Camera has the Sigma 12-24mm f/4 DG HSM Art Lens for Canon in stock with free shipping. 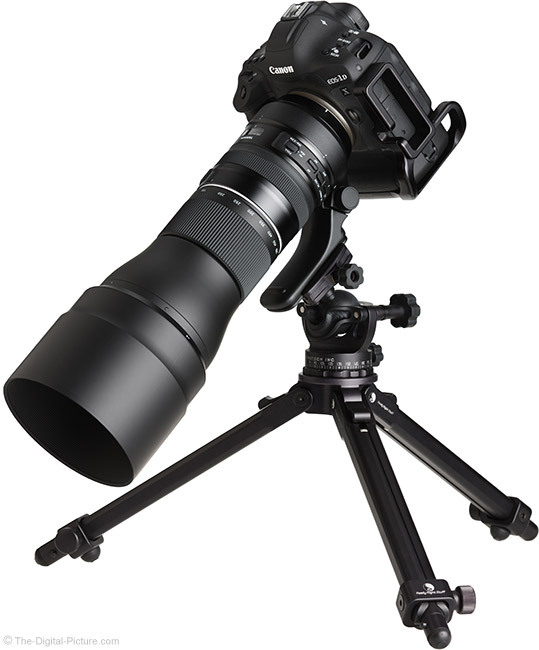 Image quality, vignetting, flare and distortion test results along with specs, measurements and standard product images (both sizes) have been added to the Tamron 150-600mm f/5-6.3 Di VC USD G2 Lens Review page. I've spent a lot of time with this lens this week and hope to have the full review completed early next week. B&H has the Tamron 150-600mm f/5-6.3 Di VC USD G2 Lens in stock. B&H has the new Apple MacBook Pros available for preorder with free shipping. October 27, 2016 – Nikon AG (Zurich, Switzerland), a subsidiary company of Nikon Corporation (Tokyo, Japan) had been disputing the Swiss Competition Commission (COMCO)'s 2011 decision regarding infringement of Swiss competition law by Nikon AG in an appeal before the Swiss Federal Administrative Court. On September 28, 2016, the Swiss Federal Administrative Court rendered its judgment dismissing Nikon AG's appeal. As a result of the review of the judgement as well as an overall analysis of the legal proceedings, Nikon has decided not to appeal the judgment to the Swiss Federal Supreme Court, and consequently, to make a payment of a fine of approximately CHF 12 million (approximately 1.3 billion yen). For us, the Nikon Group, compliance with applicable laws forms part of our most important company principles, and is the basis of the trust of our shareholders, customers and other stakeholders. We have therefore already taken all steps necessary in order to ensure that all employees of the Nikon Group are fully aware of and comply with the provisions of competition law, and intend to increase our efforts in this respect.